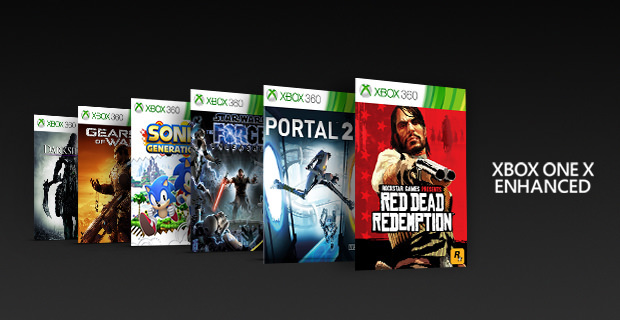 Today we’re excited to announce even more additions coming to the Xbox One Backward Compatibility catalog this month, including 19 new Original Xbox games and six Xbox 360 games with Xbox One X Enhancements. Starting today, fans can play Sonic Generations for the first time on the Xbox One family of devices alongside other Xbox 360 favorites that will receive Xbox One X Enhanced updates such as Darksiders, Gears of War 2, Portal 2, Red Dead Redemption, and Star Wars: The Force Unleashed. Later this month, we’ll release two batches of Original Xbox games – the first on April 17 and the second on April 26. 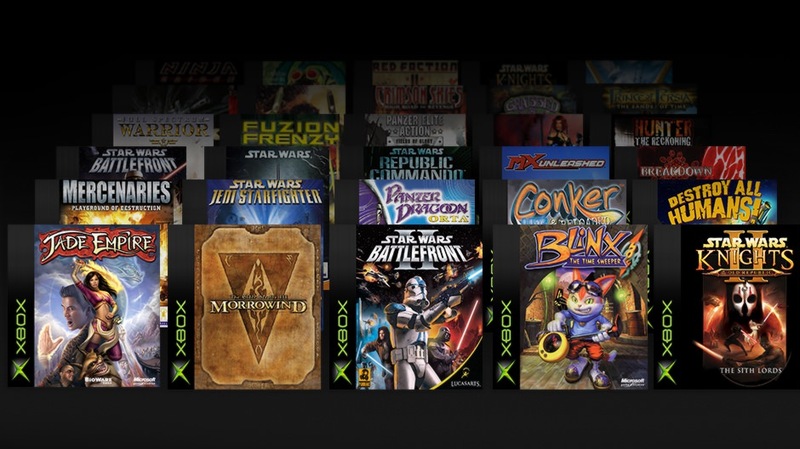 All of these Original Xbox games will take advantage of the power of Xbox One with up to 4X the pixel count on Xbox One and Xbox One S, and up to 16X the pixel count on Xbox One X. See below for the full list of titles that will be available later this month, and don’t forget to visit https://majornelson.com/blog/xbox-one-b ... atibility/ for the full list of backward compatible titles available on Xbox One. You’ll be able to play all of these games on Xbox One through the disc you already own, or you can purchase them digitally in the Microsoft Store. Please check back on release day for local market restrictions as regional availability may vary. Special thanks to our fans for their continued support and overwhelmingly positive feedback. Keep sharing! Tomb Raider 2013 for XO is going cheap at the moment. Matisfaction wrote: Is Orta any good? I haven't played it for 15 years but it was good back then. It also had the original Panzer Dragoon included in it as an unlockable. The price of the physical version has jumped up a lot. I was looking at it about a year or so ago on ebay and it was around A$30-$40 range, now it's A$80+. Play together with Xbox Live Gold. May's 2018 Games with Gold lineup for Xbox One includes:Super Mega Baseball 2 and Metal Gear Solid V: The Phantom Pain. For Xbox 360 owners (and through Xbox One backward compatibility), May kicks off with Sega Vintage Collection: Streets of Rage, followed by Vanquish. May's lineup provides over $79 dollars in value and up to 3400 in gamerscore. It's time to go back to Stilwater. Saints Row 2 is now Backward Compatible on Xbox One! Dragon Age 2 is also BC now. I dug out my Burnout disc to play this. I am not as good as I used to be. Got it for PS3 a few weeks ago because I thought it was something that would never be BC. Oh yeah! Been wanting to play this again but couldn't be bothered setting the 360 up. Got Midnight Club for the PS3 a few weeks back, guess I'll get it this one as well. The Xbox One X only release in November of last year, but Microsoft is already pushing forward with new hardware. Towards the end of the Xbox E3 conference, Phil Spencer teased that the Xbox One X team has already begun work on its next console. Since then, reports have come out with a few more details- apparently the next Xbox is codenamed ‘Scarlett’ and could be with us within the next two years. The folks at Thurrot managed to get the scoop on the Scarlett codename. Apparently, this is not just one console, but a new ‘family of devices’, meaning we may see multiple offerings right out of the gate. One of these boxes may end up being dedicated to streaming, as Microsoft has made it clear that it would like to stream ‘console quality games to any device’. Whether that technology will be ready by 2020 remains to be seen. It will also be interesting to see just how removed the Scarlett line of hardware will be from the current Xbox One. Microsoft has made it their mission to make their consoles backwards compatible in the future, so it is likely that Scarlett will be compatible with all of the same games currently available on Xbox One. The final tidbit of info from the report is that Microsoft is reportedly targeting a 2020 release date. Plans could be altered, but it is clear that Microsoft is looking to quicken the pace in terms of hardware upgrade cycles. KitGuru Says: Microsoft is clearly looking to diversify and re-imagine what an ‘Xbox’ is, so it will be interesting to see what it comes up with. What do you think the next Xbox will be?